Wait, Did We Miss Black Friday? Black Friday and Cyber Monday: when consumers shop for holiday presents (and themselves), and retailers fret about whether they got their forecasts and inventory levels right. Oh joy! In previous years we have seen retailers decelerate on discounting prior to Black Friday, in order to offset the steeper discounts they would take over the following weeks of the holiday season. However, this year, we saw increases in the number of SKU's being added to the sale bin. Single digit increases may seem insignificant, but when we are routinely seeing categories with 60%+ of their assortments marked down, how much room is there to increase? In fact, many retailers started major discounting in early November, including bellwether Amazon, and this is a trend we don't see changing any time soon. 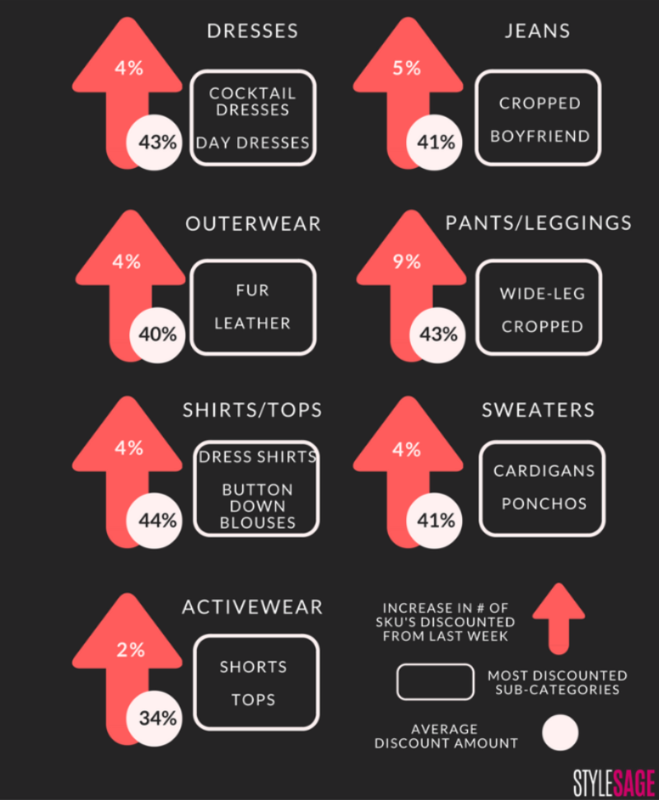 Average discount percentages hovered around 40%, as bottoms saw the most SKUs added to sale, in part as retailers cleared out seasonal styles. Even activewear saw increases, though the average discount was lower than its category counterparts. Some categories we've seen are relatively more resistant to discounting than others. Notice anything interesting about them? We think there are complementary relationships evident between items like evening dresses, shapewear, and clutches. Special events and parties call for an entire look, and smart retailers are leveraging the add-on nature of these types of purchases. We're also seeing that accessory categories like watches, jewelry, shoulder bags, and totes are bucking the discounting trend. Nope, we're not finished talking about discounting yet. Some retailers have them constantly, while others, particularly luxury and the DNVB (Digitally Native Vertical Brands) tend to use them more sparingly. 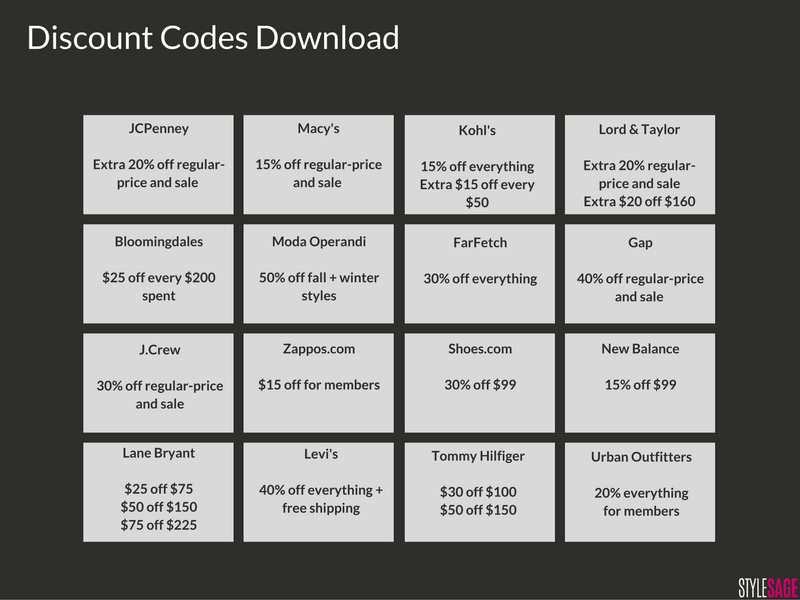 Value, mid-tier, and premium stores got in the mix early, with minimum discount codes offering from 15% up to 40% off purchases. Below is a snapshot of some of the weekend's offerings (11/18-20). Stay tuned next week as we recap Black Friday and Cyber Monday global performance. How Is Luxury Faring This Holiday Season? Cyber Weekend: Just How Big a Deal?